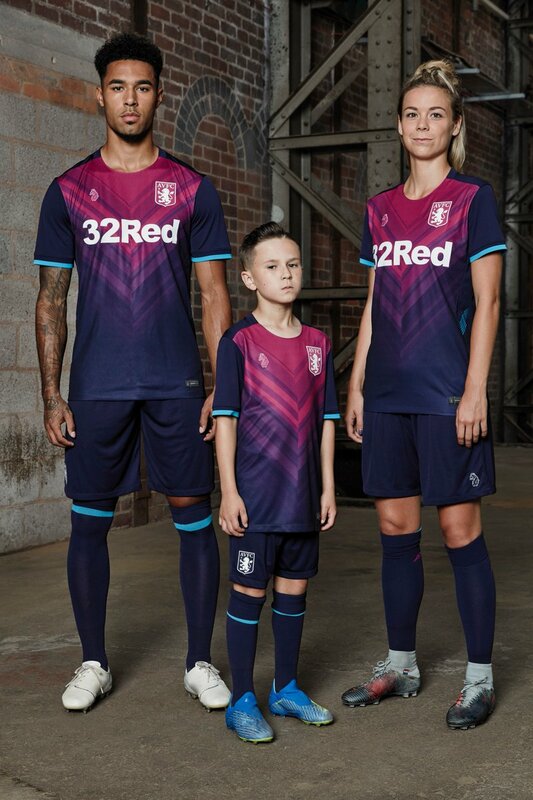 Aston Villa today revealed their new third kit for the 2018-2019 season. Made as part of the club’s innovative partnership with premium fashion brand Luke 1977 and Fanatics, a global leader in performance sport garments, the new Aston Villa 18-19 third jersey features an electric design. 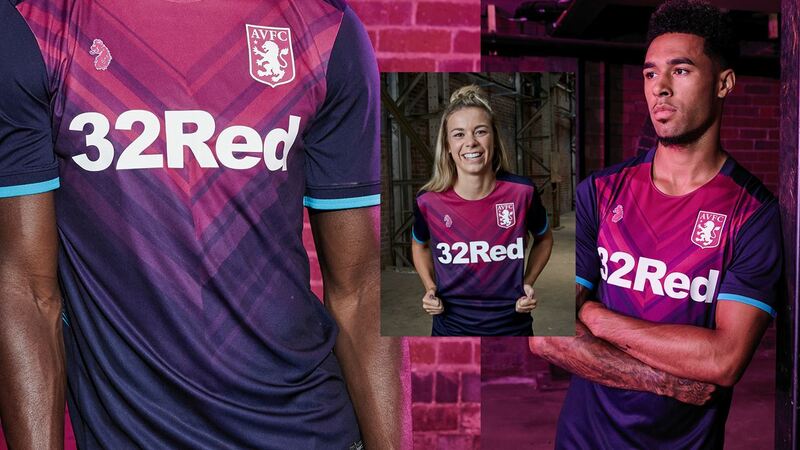 It is the first Aston Villa third kit for a decade. The team will debut the kit in tonight’s Carabao Cup tie with Yeovil Town at Huish Park. 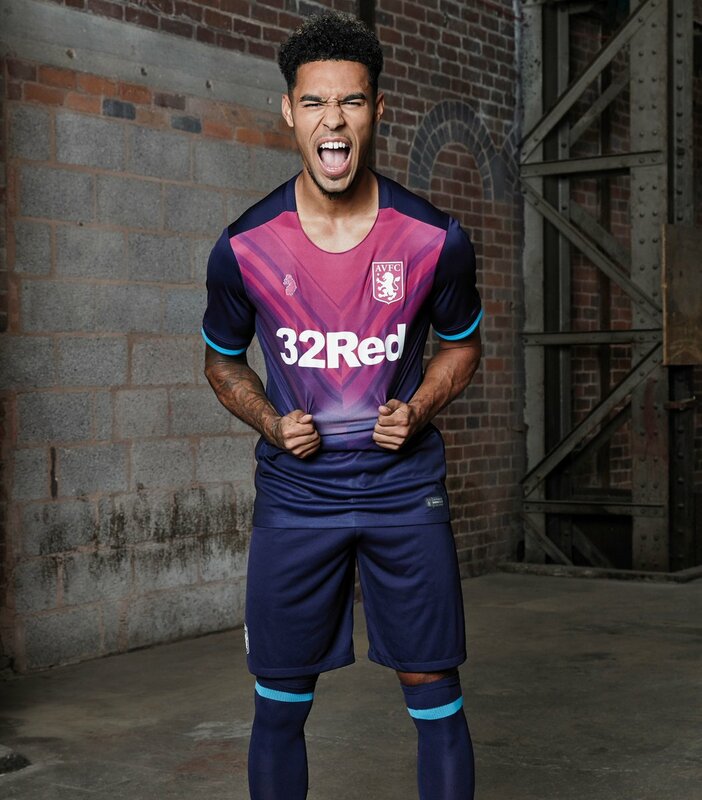 Compared to the traditional home and away jerseys, the new Aston Villa 18-19 third kit is anything but retro. It features a vibrant new look in navy blue and electric claret stripes. 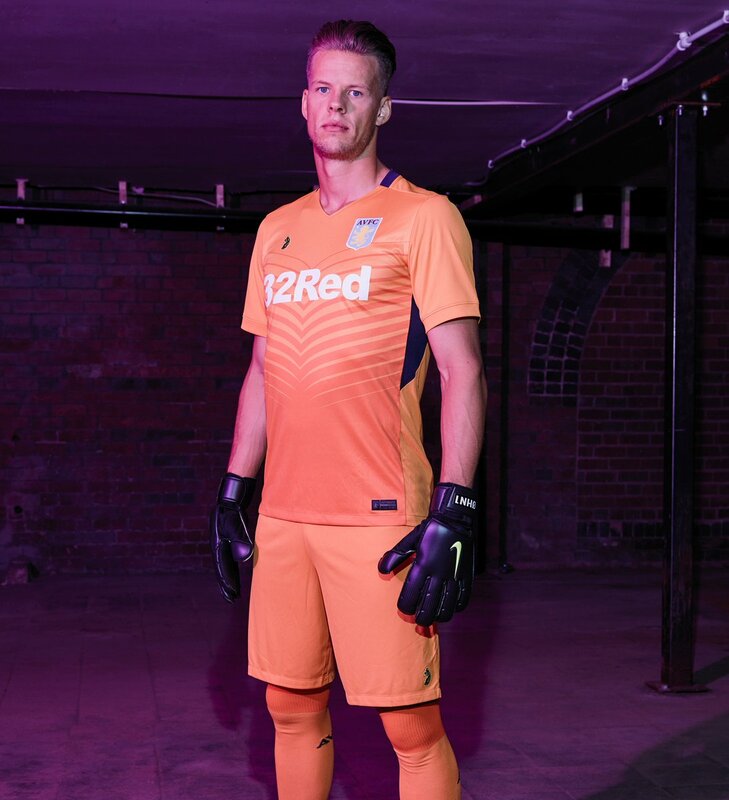 The new Aston Villa FC 2018-19 third goalkeeper kit is striking orange, based on the same design as the AVFC keeper home and away jerseys. Luke Roper, Creative Director at Luke 1977, said: “The third kit was an exciting project for us all, giving us freedom to deviate from tradition and come up with a progressive and fresh design, one that would also sit with the massive history of our superb club.